Photos via Pinterest. 2) Placing your paving slabs. Now you can get down to the placing of the paving slabs, starting at the border of your space, carefully place the slabs in a straight line.... 25/08/2008 · I am looking for ideas, i'm building a timber deck over an existing concrete area & grassed area. 7.8m x 4m deck size, 4m x 2.5m of existing concrete The problem i have is i only have 100mm on top of the concrete, 1 brick plus a tile at the sliding door. Car parking pad. 6.5 x 3.2 x 100mm. It is on an grass incline 260mm over 6.5 mtrs. Concrete to connect to a existing driveway. Grassed area has only some grass on a sandy base.... 4/09/2004 · Otherwise, you will have to set up 2 level battens a bit in from each of the long walls and use these as a guide for tamping then take them out and fill in the edges as soon as you can walk on the main slab. 9/08/2009 · The upside is the concrete is just 100mm thick at best. That's the good news. That's the good news. Got to around 1300 on Saturday, and I'd barely got into a 4th of the job, and I'd blunted 2 wedge bits to death.... A concrete slab, 100mm thick, has enough integral strength to support domestic traffic as a drive or carpark. Adding reinforcing steel to the concrete won’t stop cracking but will hold it together when it does crack. 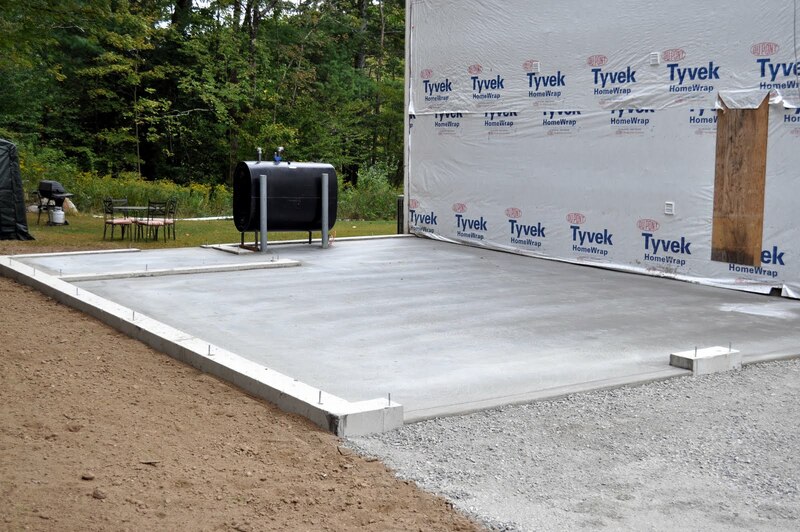 If a bigger load is to be catered for, then the strength and thickness of the slab will increase. Photos via Pinterest. 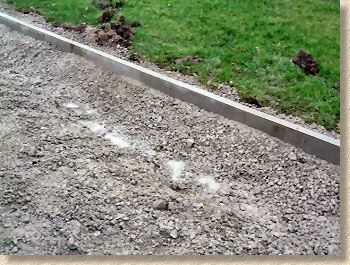 2) Placing your paving slabs. Now you can get down to the placing of the paving slabs, starting at the border of your space, carefully place the slabs in a straight line. 6/12/2013 · Yaelii writes... Also, how thick should the slab be for a shed? normal use 100mm (any basic webpage will tell you this) [reo – is recomended] but I would want to slab to be at the level of the grass so there isn't a step up into the shed. That’s the minimum – however if you’re installing a new slab, it’s a great idea to plan around a slightly deeper concrete for even better strength – a depth of 140mm using 32 mpa concrete is our recommendation.